Why the consumer electronics industry needs to wake up. The use of expanded polystyrene (EPS) in the packaging of consumer electronics is possibly a greater threat to the earth's ecology than the much publicised single use plastic. So what are our industry leaders doing about it's effects? If you happen to live on another planet you may have missed the currently massive campaign against single use plastic. It is a problem in our society that isn’t going away very fast. If you Google “single use plastic packaging” you get a page of results listing various companies (mainly supermarkets) banning single use plastic packaging on their products: “Supermarkets agree to ban unnecessary single-use plastic packaging”… “Tesco to ban non-recyclable plastic packaging”… “Coop bans single use plastics”.. it goes on and on. 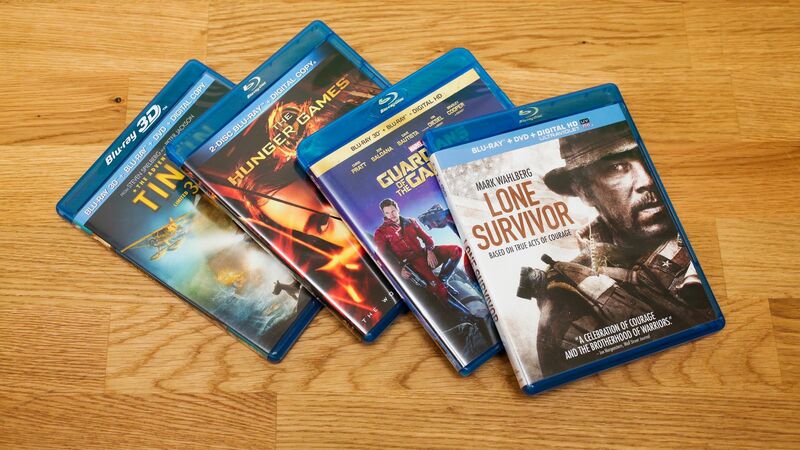 What I find striking is the silence from the consumer electronics industry. 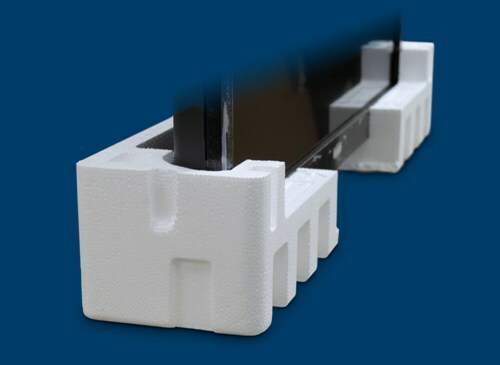 As an industry we are shipping TV’s, speakers, amplifiers all packed in expanded polystyrene (EPS) – a petrol-based plastic. 4% of the petroleum consumed every year goes into the production of plastic and another 4% is used to power the plants that make the plastic. This is unsustainable, and the manufacturing process is a heavy pollutant to the Earth’s atmosphere. Polystyrene is non-biodegradable due to it’s resistance to photolysis – the chemical decomposition induced by light or other radiant energy, so it will be around for a very, very long time. In fact, research by Cleveland State University states that it would take more than a million years to decompose. 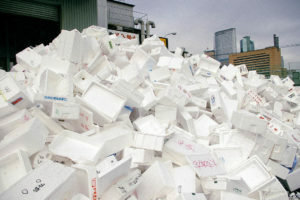 To give some scale to the problem, in 2006 135 tonnes of polystyrene waste was dumped into landfill in Hong Kong. And whilst there are facilities that can recycle it, they are very few and far between. We’ve probably all seen the clips on TV and social media of bits of plastic finding it’s way into the stomachs of marine animals. The problem is the same with polystyrene packaging, or possibly even worse. Balls of polystyrene get lodged in the intestines and cause blockages, but also acts like a sponge, absorbing some of the nastiest contaminants in the ocean. This is not just bad for the animal eating it, but of course any animal that eats the animal that ate it, ie, us humans. The International Agency for Research on Cancer as long ago as 2002 issued a report that established “Styrene”, one of the main ingredients in polystyrene as a possible human carcinogen. Further, a report in 2014 by the National Toxilogical Program states that styrene is “reasonably anticipated to be a human carcinogen” and as being linked to occurrences of leukemia and lymphoma cancer. Is this finding it’s way on to our Friday fish ‘n’ chips. Why can’t it be recycled? To understand the difficulties in recycling you first have to understand the manufacturing process. Small beads of polymer polystyrene are steamed with chemicals to cause it to expand to 50 times their original volume. After cooling and setting the beads are then blown into a mould and steamed again causing the beads to expand further and fuse together. To recycle a polystyrene block, you cannot re-mould it because the beads have already been expanded. One possibility is to incinerate it. Thermal recycling releases carbon dioxide and water vapours which makes it good for waste-to-energy programs that use heat. However, it’s viability is massively offset by the cost of transporting huge loads of light, bulky EPS (expanded polystyrene) blocks to these incinerators. Finding an alternative to Polystyrene packaging is probably the favoured route rather than recycling or trying to re-use. Whether that be paper/card based or some other material is still up for discussion. But is it up for discussion? Are these discussions taking place? The food industry has taken on board people’s concerns and are changing their packaging. McDonalds stopped using EPS in it’s cartons back in the 1990’s, and as I stated at the beginning, many of the leading supermarkets are phasing out single use plastic packaging. Yet TV’s are still being shipped encased in polystyrene without any public uproar or even apparent concern. It worries me that you don’t hear people talking about alternatives to these huge polystyrene blocks that protect the electronics we supply. Sonos products come packed in board. Unfortunately, they still wrap everything in unnecessary plastic bags, but it’s a start! And there are some alternatives being developed. 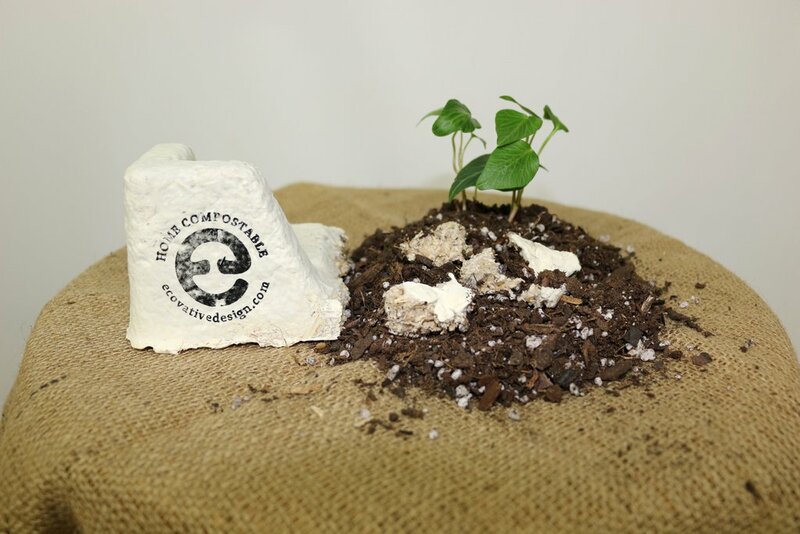 A US company called Ecovative Design has developed a way of growing fungi that can replace EPS packaging and is already being used by companies such as Dell and Ikea. Isn’t it about time this cutting edge, forward thinking industry of ours started considering the effect we are having on the environment by using this short-sighted form of packaging? UltraViolet to shut down in July. You need to act now!